A Japanese favourite Okonomiyaki is a cabbage ‘pancake’. 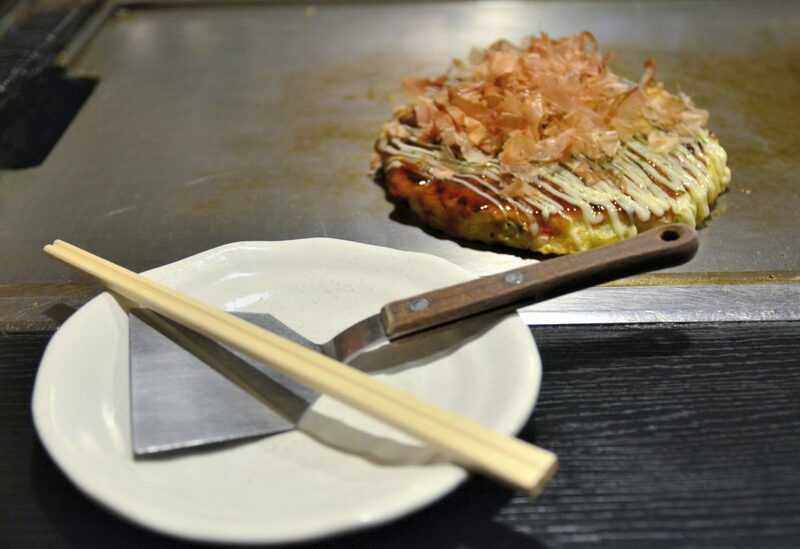 A Japanese favourite Okonomiyaki is a cabbage ‘pancake’. It’s really delicious and easy to make. This recipe is an Anglo-Japanese version. Whilst it’s not totally authentic, because it uses easily accessible ingredients, it’s still close to the original, and just as tasty. 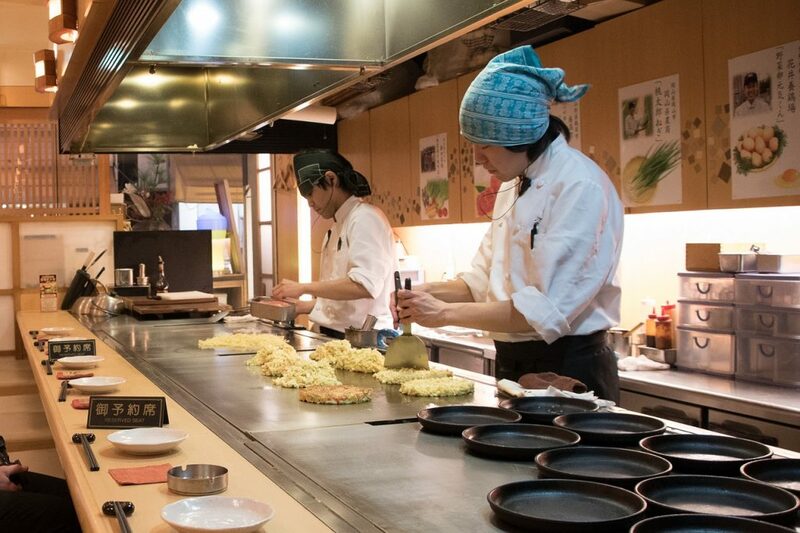 In Japan Okonomiyaki restaurants cook the pancakes on heated grills. 2 cups of flour, can be either self raising or plain. Finely slice the cabbage. 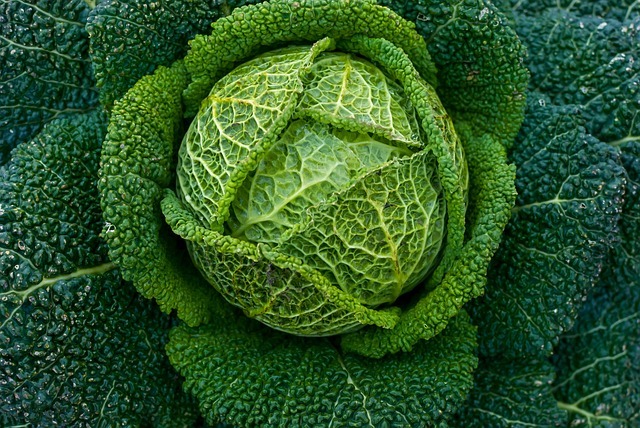 After slicing and washing squeeze the cabbage to ‘bruise’ it with your hands. This helps to soften it. Mix the flour, cold chicken stock and eggs in a large mixing bowl. Add the cabbage and the spring onions and mix well. Heat a small amount of butter in a 20cms frying pan over a medium heat. Add a heaped cup of the cabbage batter mixture to the pan. Spread out to make a round pancake about 1.5cms thick. There should be enough batter to hold the cabbage together. Neaten the edges by using a spatula to push in the edges and any cabbage or batter that’s sticking out. Place 3 rashers of bacon on top. Cover the frying pan with a lid. I don’t have a lid to fit my frying pan instead I cover it with a lid from a very large pan, which covers the frying pan completely. It’s really important to cover the pan to help the cabbage pancake cook properly in the steam that’s produced. After about 5 minutes flip the pancake so the bacon is underneath and cook uncovered for another 5 minutes. When cooked through turn onto a plate, bacon side up.